You are here: Home / Food History / What was Cooking in Leonardo da Vinci’s Kitchen? Born in the town of Vinci in 1452, Leonardo da Vinci came from humble beginnings. He was born out of wedlock to a notary and a peasant woman, then rose to become one of the most celebrated minds of the Italian Renaissance. Though well known in Italy during his lifetime, his creative genius, technological inventiveness and vision would not be fully recognized until hundreds of years after his death. We are most familiar with da Vinci’s remarkable artistic abilities, as evidenced by masterpieces like the Mona Lisa and The Last Supper. 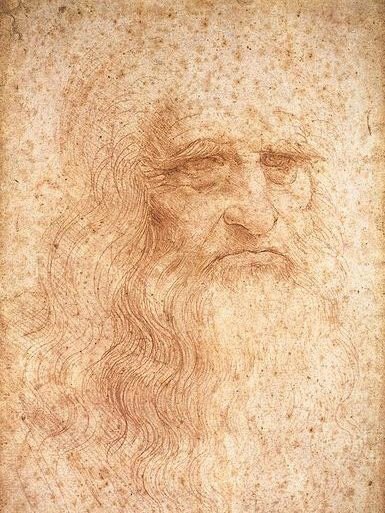 In addition to being a gifted artist, da Vinci was a polymath… a scientist, engineer, mathematician, musician, sculptor, astronomer, architect, zoologist, anatomist… and, perhaps most surprisingly, a budding nutritionist. Da Vinci was intrigued by food and valued its importance in our daily lives. He was also captivated by kitchen gadgets and inspired a few of the machines we still use today, including an automated device for turning meat on a spit. Shawarma, anyone? Should be well-cooked and of simple ingredients. Not between meals, nor on an empty stomach. Da Vinci’s kitchen notebooks are filled with comments on the cost and quality of the food and drink he encountered throughout Italy. For example, da Vinci noted that a bottle of wine, a pound of veal and a basket of eggs cost “one soldo” each. Also included in the notebooks were his shopping lists, which varied between elaborate ingredients for court feasts and rather simple items for his own household’s fare. The large room for the retainers should be away from the kitchen, so the master of the house may not hear their clatter. And let the kitchen be convenient for washing the pewter so it may not be seen carried through the house… The larder, woodstore, kitchen, chicken-coop, and servants’ hall should be adjoining, for convenience. And the garden, stable, and manure-heaps should also be adjoining… Food from the kitchen may be served through wide, low windows, or on tables that turn on swivels… The window of the kitchen should be in front of the buttery (pantry) so that firewood can be taken in. In discussing da Vinci and food, the topic of vegetarianism inevitably arises. The possibility of da Vinci abstaining from meat has been debated for years. A handful of quotes suggest that he may have been a vegetarian, though none of the quotes come directly from da Vinci himself. One quote commonly referenced comes from a letter written to Giuliano de’Medici by the Italian explorer Andrea Corsali, who writes: “Certain infidels called Guzzarati are so gentle that they do not feed on anything which has blood, nor will they allow anyone to hurt any living thing, like our Leonardo da Vinci.” Corsali was describing the eating habits of Hindu followers in India. Though the quote seems to suggest that da Vinci was a vegetarian, it is impossible to know what sort of relationship Corsali had with da Vinci beyond the fact that they both worked for Medici at one time. On the other hand, da Vinci’s shopping lists occasionally mentioned meat; however, the items listed were not all for his own private pantry. They also included whatever items he would need to feed his household. In reading his passages about nutrition and health, he advised a simple and light diet, and to abstain from gorging. This would seem to go hand-in-hand with a vegetarian lifestyle. Because da Vinci never spoke or wrote about his personal eating habits with regards to meat, we cannot say for certain what his diet consisted of, though it is quite possible that he was a vegetarian. Da Vinci’s recorded observations and musings prove that he was a remarkably modern thinker, even when it came to cooking. He believed that the kitchen should run as a well-oiled, efficient machine. Today we have refrigeration, blenders, and electric mixers to help us along. I can’t help but wonder if the original Renaissance man would have been impressed by how far we’ve come in the kitchen. Bramly, Serge (1995). 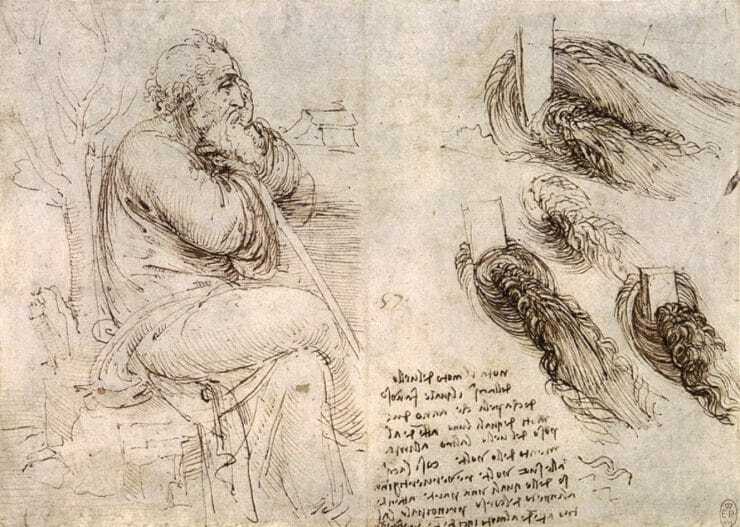 Leonardo – The Artist and the Man. Penguin Books, New York, NY. Da Vinci, Leonardo. 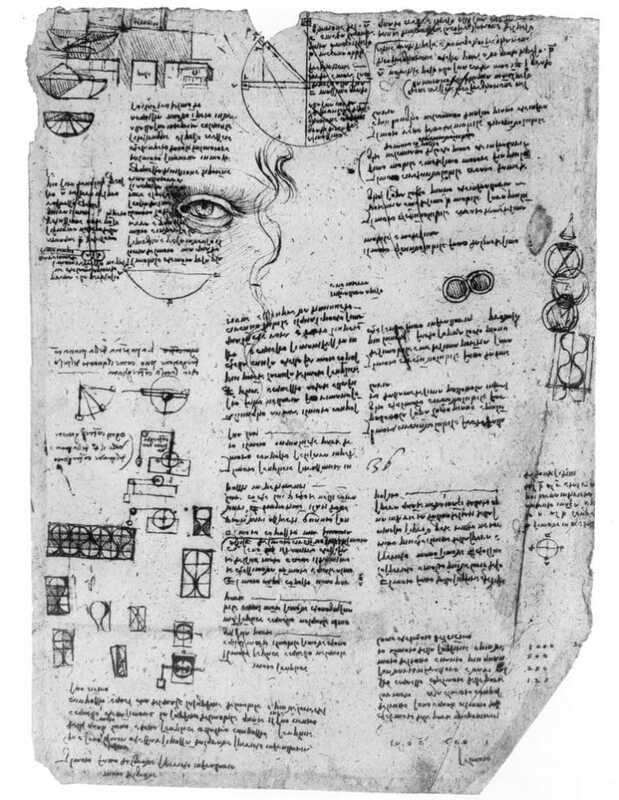 Leonardo’s Notebooks. Suh, H. Anna – Editor, Translator (2009). Black Dog & Leventhal Publishers, New York, NY. Davidson, Alan (2006). The Oxford Companion to Food. Oxford University Press, NY. Dewitt, Dave (2007). Da Vinci’s Kitchen: A Secret History of Italian Cuisine. BenBella Books, US. Corsali, Andrea. 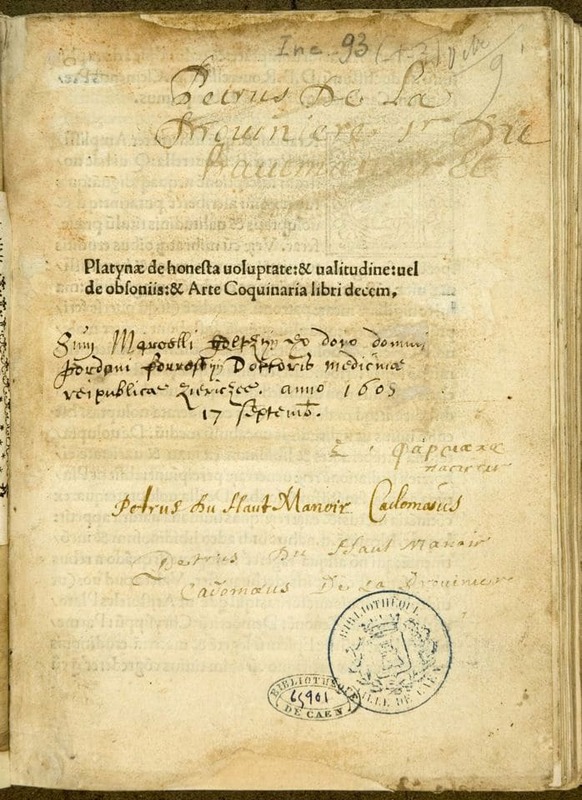 “Lettera di Andrea Corsali allo illustrissimo Principe Duca Juliano de Medici, venuta Dellindia del mese di Octobre nel XDXVI.” National Library of Australia Digital Collections, n.d. Web. 08 July 2013. King, Ross (2012). Leonardo and the Last Supper. Walker Publishing Company, Inc., NY. Platina. On Right Pleasure and Good Health. Milham, Mary Ella – Editor, Translator (1999). Pegasus Press, US. This comment will be removed.